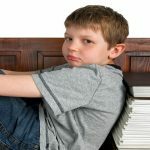 We all know that using age-appropriate resources to help your child learn to manage his big emotions by himself is the most effective path toward his emotional intelligence. But we also know that teaching your child to deal effectively with difficult emotions can seem like an endless journey and can leave you pulling your hair out in despair! The truth is that the development of emotional intelligence in children is often a long process and having multiple solutions to calm an anxious or nervous child can make it easier for everyone. In other words, it always helps to have multiple techniques to help your child cope with anxiety. 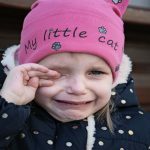 Below is a compilation of 50 techniques to help your anxious child calm down by him/herself. Given that dealing with anxiety in children is complicated, and that not every child will respond to solutions in the same way, feel free to use only the solutions you feel will work for your child. Remember, though, that a technique that works today may not work tomorrow. Proposing multiple calm-down options to your child helps strengthen his emotion-regulation skills as it gives him the tools to deal with big emotions by himself. 1. Choose the tips that best fit your child’s needs and personality, write them down or download corresponding images from the Internet to make anxiety cards and print and laminate the cards. 50+ ready-to-use cards are available here. 2. Remember to go through each card at least once with your child and explain how each activity on the card works. For example, if your child picks the card with the anxiety stone, she needs to know that she should rub the anxiety stone until she feels less anxious. 3. Punch a hole into the cards and attach them (for example using a keyring) or place them in box. 4. Place the anxiety cards where your child can access them easily. Remember that it is easier to deal with your child’s difficult emotions before they get out of hand. Using age-appropriate resources such as The Emotions Kit can help teach your child to be more aware of how emotions such as anxiety manifest in his body and make it easier for him to control his emotions. Worry dolls originated from Guatemala and were used to help kids get rid of their anxiety. These dolls were originally made from wood, wire materials, cotton, cardboard and clay and their clothes were made from wool and a specific fabric common in Guatemala. • place the doll under his pillow. In the morning, the child’s worries would have disappeared. Worry dolls can help calm your child because they make it possible for him to express his feelings and worries and to pass them onto the doll which knows how to deal with them. You can adapt worry dolls to your specific situation and to whatever you feel will calm your child’s anxiety most effectively. For example, you could ask him to choose as many dolls as he needs and tell one worry to each doll, or ask him to choose one doll per night. It’s simple to make your own worry dolls with your child or you can get reasonably priced Guatemalan worry dolls here . There is scientific evidence that hugs help release hormones which can increase your child’s overall well-being. 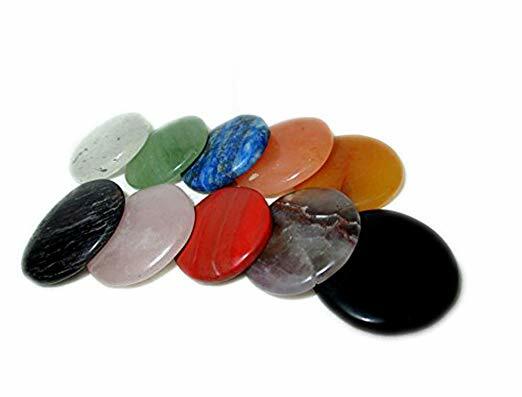 Giving your child a crystal worry stone can help teach her deal with her anxiety. This stone is designed to be held in the hand and she can rub it whenever she feels anxious. Its small size makes it practical to carry along everywhere. An anxiety stone works much in the same way as an anger stone. I first heard about this stone from Darlene Riddell who would use it in her class to calm angry children. An anxiety stone can be any stone – you could ask your child to decorate it – that your child takes when he is feeling anxious. 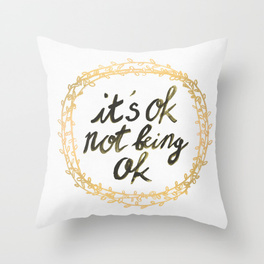 Tell him to rub it until he is no longer anxious. If you decide to use an anger stone, place it where your child can easily access it by herself. Explain to her that as soon as she starts to feel anxious, she can take the stone and rub it to take the anxious feelings away. Worry Eaters are colorful puppets that can help your child learn to manage strong feelings such as anxiety. Their zippered mouths are designed to eat up all your child’s worries! Although more common among children with special needs, science suggests that by exerting pressure, weighted blankets have a calming effect on the body and can be beneficial for many kids. 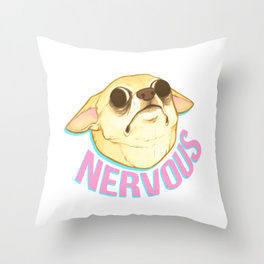 Anxiety pillows are designed to give your child something to hold during an anxious moment. 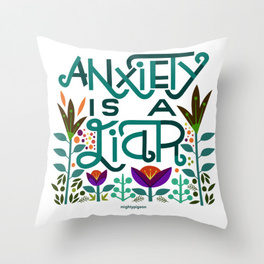 You can make your own anxiety pillows using colorful fabric or fabric with interesting designs or get store-bought anxiety pillows here. 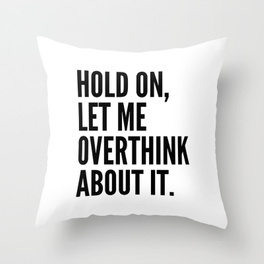 Your child can hug her pillow when she feels overwhelmed by her emotions. Several studies have found that oral sensory activities such as chewing gum can relieve stress. Chewing can also help reduce children’s anger. Although oral sensory activities may help your child cope with anger, stress or anxiety at a specific moment, bear in mind that overusing oral sensory activities can also lead to serious health problems later in life. If you decide to go with this option, remember to try sugar-free chewing gum. Jumping on a trampoline helps distract your child and also helps release stress and anxiety. Visual breathing exercises are known to help calm anxiety in both children and adults. 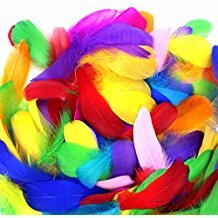 Provide your child with brightly-colored feathers. Your child can pick a feather of her choice and place in on a flat surface (for example, a table). When she breathes out, the feather should move across the table. She needs to push it as far as possible using her breadth. Like feathers, a pinwheel can calm your child down by helping her breathe appropriately. When your child breathes out, his breadth should turn the pinwheel. Calm-down jars or bottles can help your child manage his anxiety by distracting him from it. They are particularly effective because they enable him to block out all the senses and focus on only one of his senses. Running is a great activity for distracting your child from her anxiety and can free her from anxious feelings. Some essential oils have been proven to help angry, anxious or hyperactive kids, but not all essential oils are safe to use with kids. 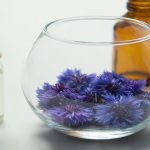 Before using essential oils with young kids, it is important to know which essential oils are safest for kids and how to use them. Playing the silence game with your child can help calm her down. The silence game involves saying and doing nothing. Sit close to your child (you can take her into your arms) and give her the opportunity to calm down by herself. Much like running, riding a bike helps distract your child from her anxiety and can thus help reduce anxious feelings. According to the available research, drawing can combat stress. A Mandala is an excellent art therapy for calming children. It proposes an abstract design that uses evenly distributed patterns to create a feeling of balance and harmony. Kneading is a great activity that helps focus your child and, in so doing, helps reduce her anxiety. Home-made play-dough is easy to make and is a good alternative option to store bought play-doh. A super-easy recipe is available here. Blowing a candle helps your child calm down by enabling her to focus on her breadth. This is a dangerous activity and therefore requires your presence if you decide to use it. Remember that you can change the distance from which your child blows out the candle to make the activity last. Sorting legos into different colors is not only helpful for developing your child’s cognitive skills, it can also help him calm down by helping distract him from his anxiety. Squishy bags are a great sensory resource to help your child explore his sense of touch and turn his attention away from his anxiety. The best thing is that it’s easy to make your own squishy bags. You’ll find a great recipe here. Playing with grains keeps your child’s hands busy and can also develop her cognitive and executive functioning skills. Provide containers (bottles, jars) with different sizes, cups with different sizes, and spoons (or something to scoop with). Your child can sit on a blanket on the floor (makes tidying up easier) and transfer the grains from one bottle to another. Blowing bubbles helps calm your child’s anxiety by helping her practice her breathing and by distracting her from her worries. Listening to music is a great way to distract your child from his anxiety. A scavenger hunt is a fun way to get your child to focus on something other than her anxiety. Give your child safety scissors and pieces of fabric she can cut. This repetitive activity will help calm anxiety. Playing with kinetic sand is a great sensory activity that helps your child focus on his sense of touch. This activity can help relieve your child’s stress and anxiety. A sensory bin is a container (for example a clear storage container or can also be a shallow container such as a shallow cardboard box) in which you place a sensory base (legos, buttons, lentils, rice, pasta, sand, etc), objects (legos, animal figures, beads natural materials – sea shells, acorns, etc.) and scoops (can be cups, spoons) and let your child experiment with the different things in the bin. A calm-down spot is a specific space (can be a corner in your house, her room, etc.) where your child has a collection of things he enjoys (books, games, music, etc.) and where he can go if he needs to calm down. Making a bracelet requires repetitive threading motions that can help distract your child from her anxiety. Matching activities are not only great for developing your child’s cognitive and executive function skills, they can also help distract your child. A hand-written color, cut and glue digital download is available here. Walking along a line is calming because the simple act of focusing on how the right and the left foot alternate can help get your child into a meditative state. Walking meditation is used in Montessori schools through the “walking on the line” activity which helps develop kids’ executive functions but also echoes mindfulness. If you can, make different patterns on the floor using colorful adhesive tape where your child can practice walking along the line. Playing a videogame can help reduce your child’s anxiety by turning his attention to something enjoyable. However, it is important to set down rules about the games your child can play and to establish a sound “video game philosophy” in your home. Kicking a ball helps release your child’s anxiety by helping her focus on something different. 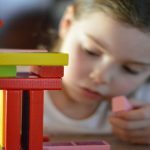 Activities that involve “heavy work” such as pushing against a wall have been proven to be effective in focusing kids’ attention and reducing anxiety. Puzzles are a great way to distract your child from her anxiety and also help develop her executive function skills. c) Walk around the room in circles while ensuring that no bell makes a sound. Just like chewing gum, eating crunchy or chewy snacks have been found to help reduce anxiety and anger. Other chewy foods include dried fruit, dates, celery and cheese. Recent research undertaken by researchers from Plymouth University and the University of Exeter suggests that watching fish in an aquarium is highly soothing. The researchers also found that the more the fish, the more it was calming to watch them. If you can afford it, getting your child a reasonably sized aquarium might just do wonders for her anxiety. Just like watching fish, looking at an indoor fountain can help your child calm down. Sand-timers can also be relaxing. For example, getting your child a 5-minute sand-timer can make it easier to focus on something else for a set period of time. The 5-4-3-2-1 coping technique is a strategy that works like magic when it comes to calming down an anxious child. Like all the strategies mentioned here, it works best before your child gets “out of control”. 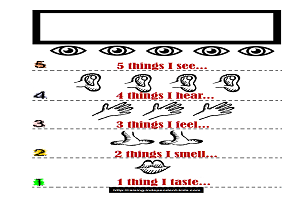 It involves naming 5 things she can see, 4 things she can hear, 3 things she can feel, 2 things she can smell and 1 thing she can taste. A free printable visual is downloadable here. 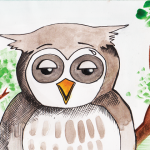 Drawing is an effective way to help an anxious or stressed child deal with his anxiety. Your child can either draw what he is feeling or draw whatever comes to mind. Finger painting helps distract your child from her worries which helps calm her down. Finger painting is also an awesome sensory activity that makes it possible for your child to express herself. Reading is a great way to help your child deal with anxious feelings. However, there are a few things to keep in mind when choosing your child’s books. Stress Balls are a sensory activity that allow your child to calm anxiety by focusing on his sense of touch. They come in many different shapes and colors and you can also make your own stress balls with minimal materials. Skipping distracts your child from his anxiety and this physical activity helps reduce her anxious feelings. An anxiety tool kit is a container (for example a clear storage container) in which you place objects that can help your child calm down. Any time he feels anxious, he can go to the tool kit and select an object. An anxiety kit is very simple to make. Instructions for creating an effective anxiety took kit are available here. An exercise ball can help release your child’s stress, anxiety and hyperactivity. Chewy jewelry (for instance chewy necklaces) work in the same way as chewing gum and apples. The advantage of chewy necklaces is that they reduce the dependence on food as an anxiety-reducing mechanism, and therefore reduce associated health issues such as obesity. The thing with anxiety is that it’s always easier to deal with your child’s anxious BEFORE he goes into complete meltdown so it’s important for both you and him to be aware of his triggers to be able to deal with his anxiety more effectively. Helping your child deal with his triggers also makes it easier to identify a more lasting approach to his anxiety. The Emotions kit is an age-appropriate resource that can help your child learn to identify different emotions, work on what triggers those emotions, and identify ways to deal with those emotions in a socially appropriate manner. If you enjoyed this post, subscribe below to receive posts like these directly in your inbox every Monday.